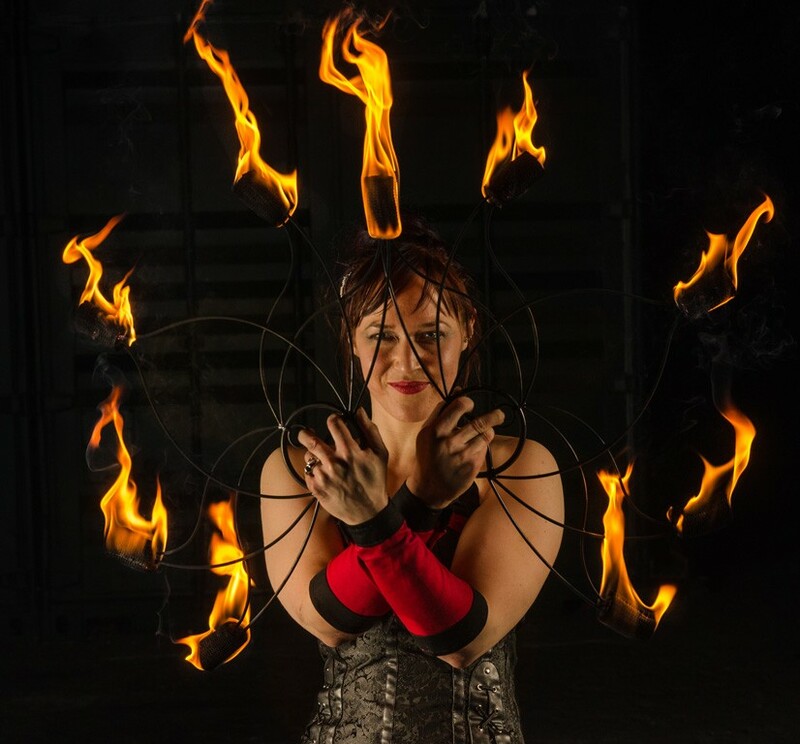 Make your event one to remember with a stunning and exciting fire performance. Perfect for weddings, parties and corporate events. 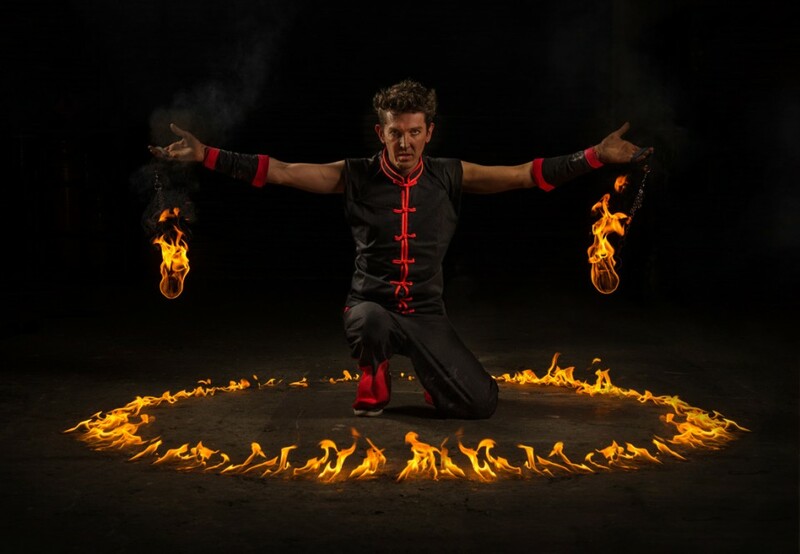 These highly talented and experienced performers will mesmerise your guests with fire dancing, fire eating and body burning. 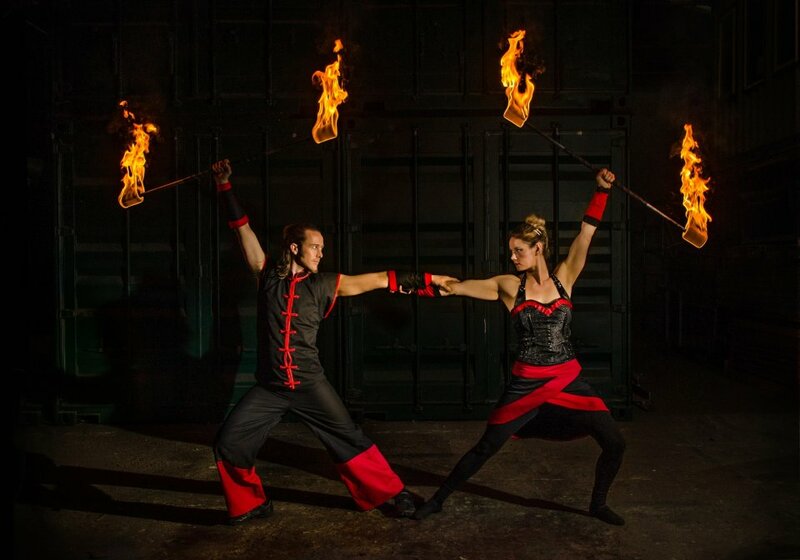 Choose from solo, duo or group fully-choreographed stage shows to music, with optional special effects and pyrotechnic finales. 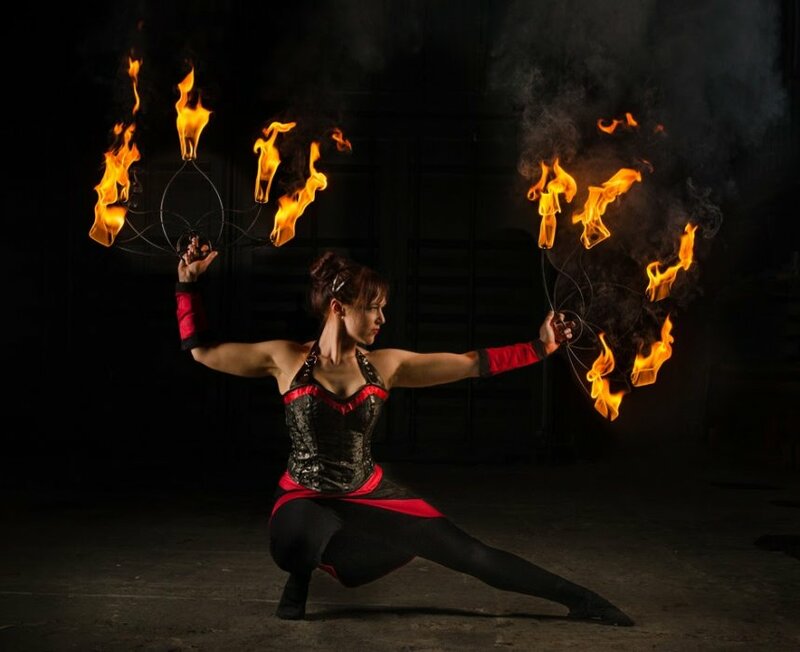 Freestyle, ambient fire shows are also available if you would prefer background fire entertainment at your event. 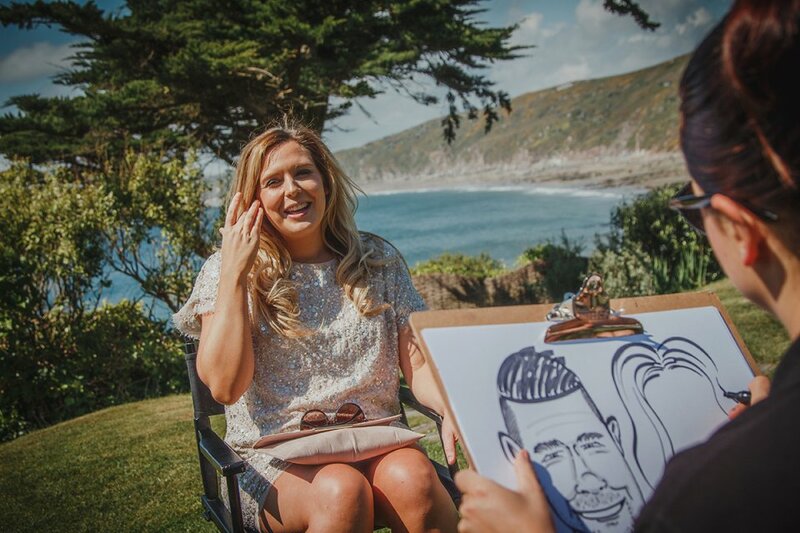 Firstly decide how you would like the performance - ambient background to create an atmosphere or the wow factor of an energetic feature performance. 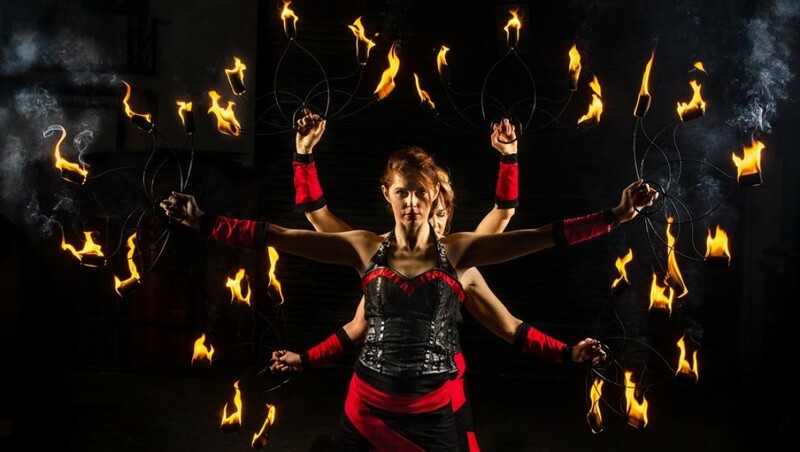 A captivating and exciting stage show designed to make your event one to remember. Tightly choreographed to music, there are feature shows suitable for all types of event from weddings and garden parties to corporate events. The show will last between 5 to 30 minutes depending on the number of performers booked. A sound system can be supplied for up to 400 guests. 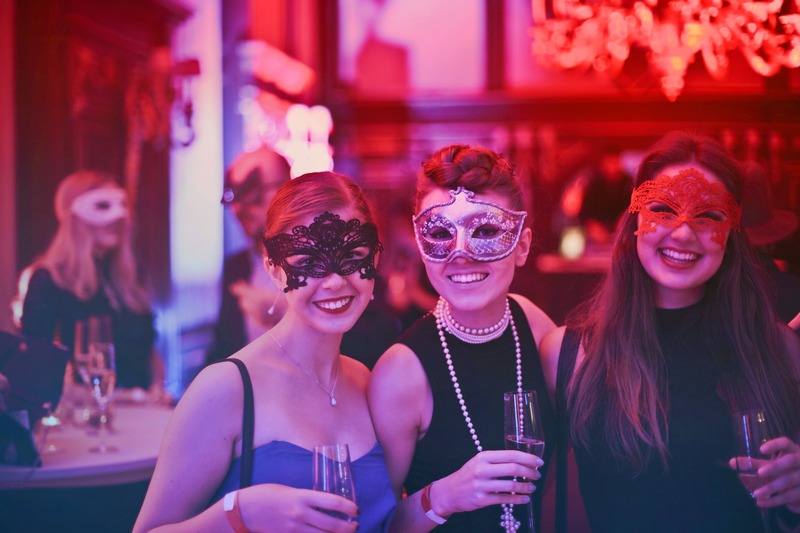 Ambient performances will keep your guests entertained as a background or meet and greet act. 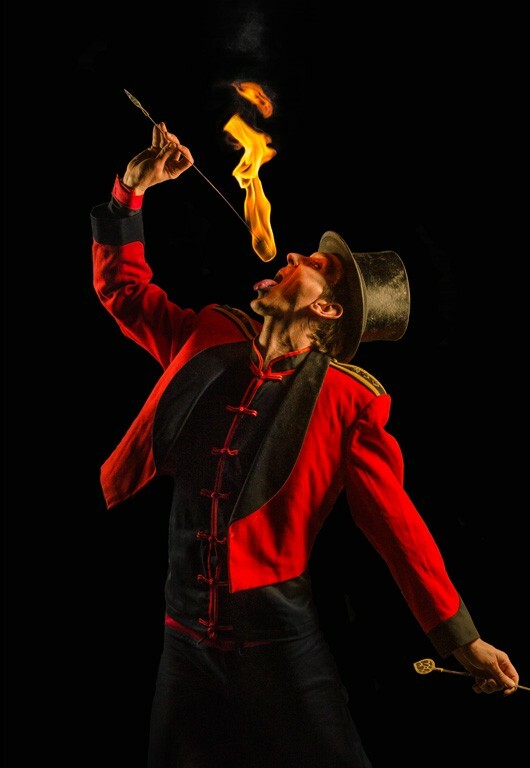 These freestyle shows work well for entertaining waiting or entering guests, or during drinks receptions before dinner is served. Ambient performances run at a slower pace than feature performances and are not usually performed to music so that the show does not interfere with music at your event. However if you would like the performers to supply music please ask. Decide how long you would like the show. The longer the show, the more performers will be needed. Exact length of shows depends on act booked and performer availability. All shows are fully choreographed to music. If you have chosen a Feature Performance, decide if you would like even more of a spectacle by adding in special effects. These include extra large flames, sparkle fire and pyrotechnics. Lengths of shows depend on act booked. All shows are to music. 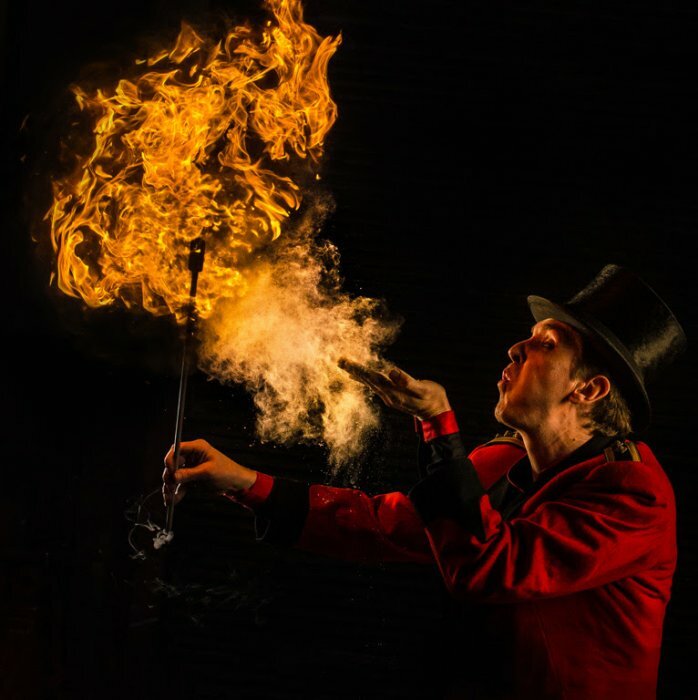 Most acts include optional special effects and pyrotechnic finale. 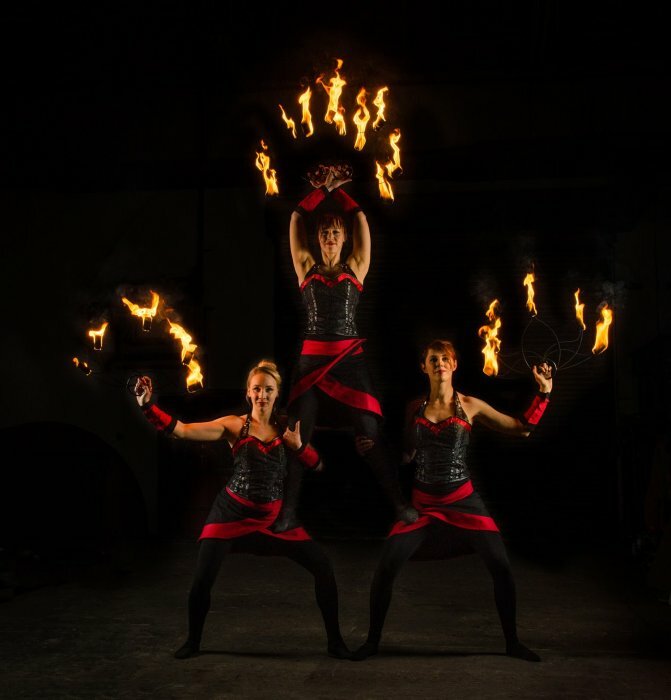 Flow Fire performed as the opening act at the Headquarters Royal Engineers Officers’ Mess Fire & Ice Winter Ball. What a way to start an evening, they were phenomenal, our 200 guests were captivated. 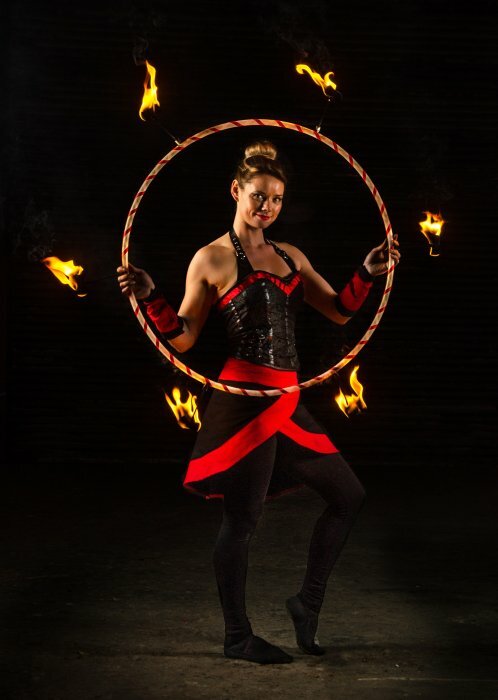 Erin and her team are extremely professional, talented and captivating performers, we will book them again. 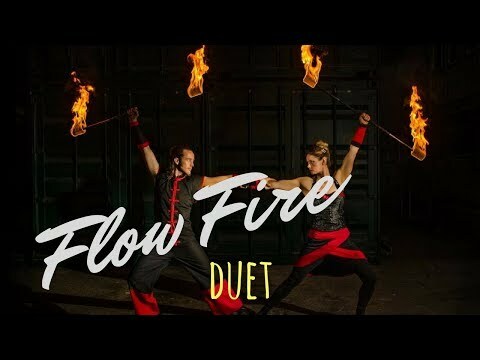 If you want a unique experience at any event I highly recommend Flow Fire, A Five star act. Do you need to visit the site for the Risk Assessment prior to the performance date? No, but it would be useful if you could provide photos of the venue and proposed stage area as well as a detailed completion of the Performance Area Questions which is made available once an estimate has been accepted. How early before a performance do you need to arrive at a venue? Performers arrive 2 hours before the scheduled performance start time to set up for the show. 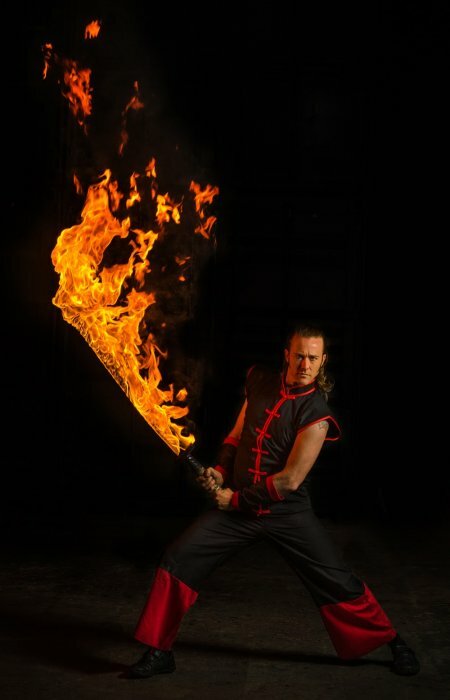 For both performer and audience safety, fire cannot be performed in strong winds. 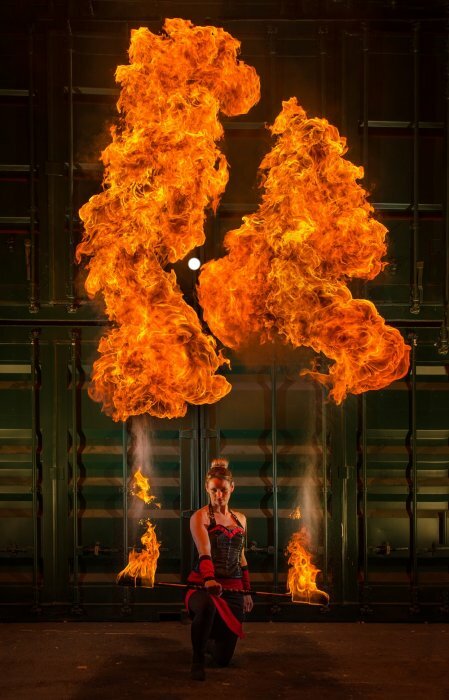 Fire can be performed in the rain but heavy rain becomes a safety concern as performers cannot see clearly. Audience enjoyment must be taken into consideration in the event of bad weather but performers will do everything possible to ensure the show happens. This may mean an earlier or later show if that suits the client. 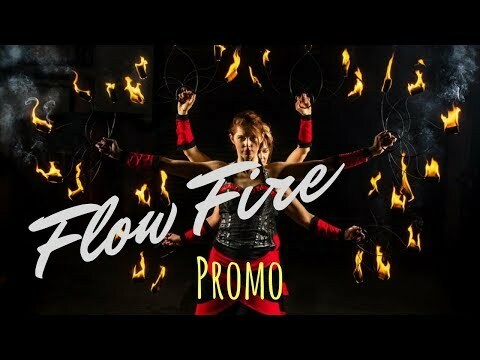 Yes, Flow Fire do indoor performances. Use of fire depends on the venue. Flow Fire will ask for comprehensive details about the venue to ensure it is safe to use fire inside. How long do the performances last? There are a variety of different length shows with different numbers of performers. More performers means longer shows. Solo stage shows range from 5 to 8 minutes whereas group stage shows range from 20 to 25 minutes. 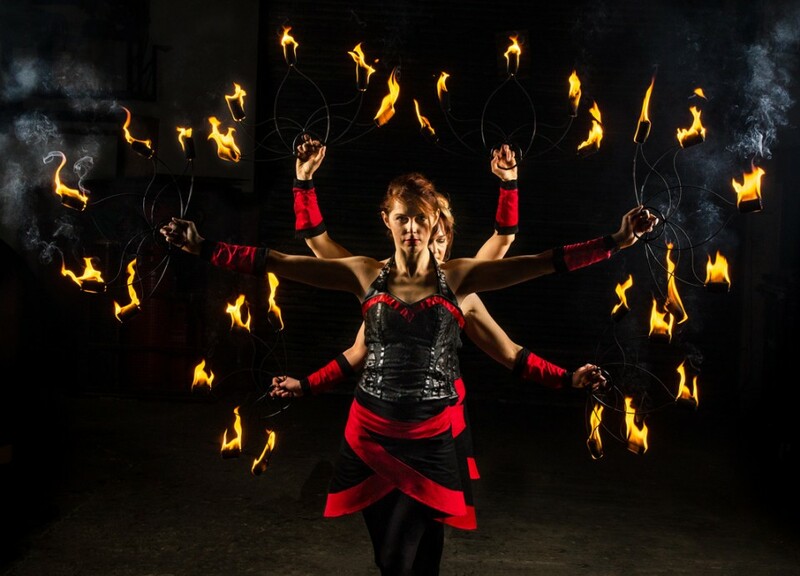 If you would like longer fire shows then perhaps an ambient freestyle performance would suit your event. In that case performances last from between 30 minutes to 1 hour depending on the number of performers. Prices depend on the number of performers and the location of the show. Prices shown are an estimate for a solo performance in each location. These are a guide only. Actual prices will be quoted when the event details are known. 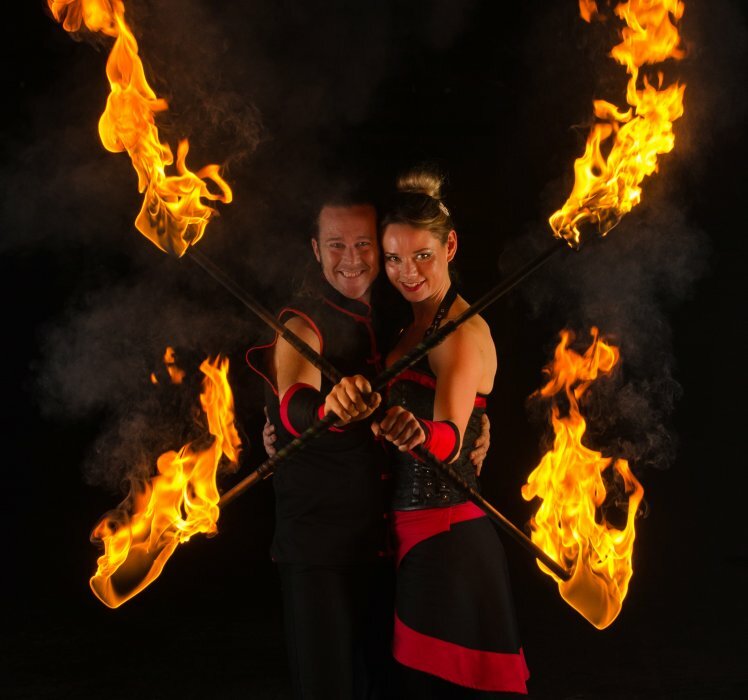 Customers who have enquired for Flow Fire have also been interested in the following fire performers & entertainers who are also available in the Suffolk, the South and the South East. For more information or further options, please call 0845 643 9384.